Summon: Equip a +3/+0 Steel Sword to a friendly creature. 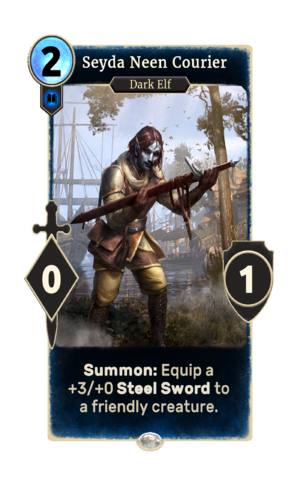 Seyda Neen Courier is a common Intelligence creature card. It is part of the Houses of Morrowind expansion. This page was last modified on 1 March 2019, at 23:53.